This article was originally published in Orizont magazine, Timisoara, Romania, August 2010, and subsequently on the occasion of A NEW BEGINNING: The 5th Romanian Film Festival in NYC, December 3-5, 2010, at Tribeca Cinemas. Vladimir Tismaneanu will introduce a screening of The Autobiography of Nicolae Ceausescu at the Museum of Moving Image on October 1 at 5 pm. I saw Andrei Ujica's film, The Autobiography of Nicolae Ceausescu. Three hours during which I sat with eyes riveted on the screen. Three hours revisiting a past replete with memories, anxiousness, hope, from those scenes of March 1965, grim like the reign of the man who had died without having reached 64 years, the First Secretary of the CC (Comitetului Central, Central Committee) of the RWP (Romanian Workers' Party, Partidul Muncitoresc Roman), the president of the State Council, Gheorghe Gheorghiu-Dej, and up to the final moment, when Ceausescu defiantly and contemptuously addresses his accusers, in December 1989: "I will answer only before the Grand National Assembly!" Watching those sequences from 1965, I recalled Ghita Gheorghiu, the grandson of Gheorghiu-Dej (he is there, together with his mother, Lica, and his sisters Sanda and Mandra, who are also bidding their final farewell to the grandfather who had adopted them). Their real father had been Marcel Popescu, ex-aide-de-camp of Emil Bodnaras (a Soviet spy, one of the regime's top leaders), Minister of Foreign Trade, dismissed in 1959 when Lica decided to divorce. Until 1965, he was not even allowed to see his children, the role of the parent being reserved for the grandfather and for his replacement, the second husband, engineer Gh. Radoi (propelled from the director of "Steagul Rosu" (the "Red Flag" factory) in Brasov to the function of Minister of Heavy Industry and Vice President of the Council of Ministers). I often spoke with Ghita from 1974-1975 about Dej, Luca, Ana Pauker, Miron Constantinescu, Ceausescu. He had his own anxieties, especially in connection with the assassination of the communist intellectual Lucretiu Patrascanu after the frame-up in April 1954, he had "understood" many things. Today the Dutch ambassador has his residence in the house on Atena street (it used to be called Aleea Zoe), where they had moved from the villas on the lake, immediately following Dej's death. Lica's jewelry collection (made up of expropriated objects) was immediately confiscated by Elena Ceausescu. Property in communist regimes was as ephemeral as positions in the nomenklatura. 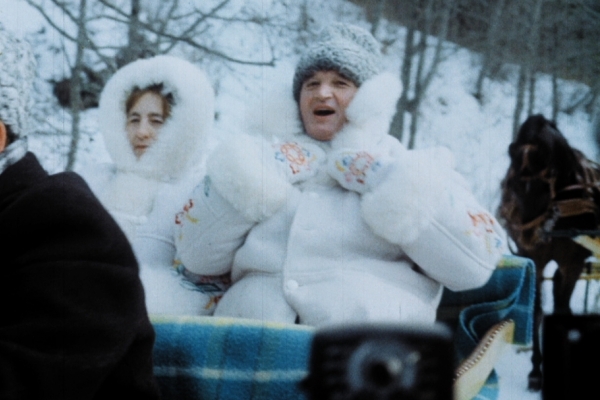 Look at Nicu Ceausescu, probably in 1966, in his position as trail-blazer during an excursion in the mountains with his parents. I was in the same class with Ghita and Nicu, we were born in 1951. Lyceum Nr. 24 (today called "Jean Monnet") was established in September 1963, with students who had come from "Caragiale" located at Piata Dorobanti, "Petru Groza" on Arhitect Mincu street (today "Tudor Vianu" college) and from a school in the Floreasca neighborhood (I think it was called "Rosetti"). No matter what anyone says today, there was not a trace of exclusivity in the selection. It was clear that, by virtue of the location, there was a visible presence of the "bosses' kids." I wasn't counted among them: In 1963, my father was an outcast, having been thrown out of the RWP under the accusation of factionalism and he was working for the cultural department of the "Tudor Vladimirescu" district, responsible for the libraries. My mother was a physician at the Health and Anti-Epidemic Center (Sanepid) in the "30 Decembrie" district and lecturer in school hygiene at IMF (Institute for Medical Pharmaceutics). Special uniforms (suits), made of softer fabric, signaled differences in the social structure. Ghita (called Popescu until then) had been the darling of the Party's number one. Like his siblings, Valentin and Zoia, the third-child Nicu was just beginning to sense what it meant to have access to absolute power, to be restricted by nothing, the experience of a supreme ruler. As member of the Political Bureau and secretary of the CC of the RWP, Nicolae Ceausescu had been an obedient instrument of Dej's commands. He had fully participated in constructing Dej's cult, he too had fawned upon Lica Gheorghiu as an expert leading lady in, to use writer Mihnea Gheorghiu's expression, "inner-oriented acting." In the '70s, Lica suffered from obesity, she was depressed and for all intents and purposes no longer left her house. Ghita was married to Alina Popescu, quadrathlon champion, the daughter of a soccer celebrity, who eventually became the president of the Romanian Soccer Federation. After the game with Switzerland, which took place, I believe, in 1967, when Romania suffered a humiliating loss (7-0), Alina's father was relieved of his function. Subsequently, I learned that Ghita and Alina had separated. If my memory does not deceive me, Alina's sister, Simona, was married to another soccer star, Alexandru (Sandu) Boc. In the meantime, Ghita, and Nicu, as well as their good friend Zazone (Radu Ioanid, television camera man for years) have all passed away. Our classmate, Florin Cleper, is also gone, he was the first of us to go, he was an architect in Israel and perished during a campaign in Lebanon. He was the one with whom Nicu discussed Roman history and Napoleon's campaigns. Forty-six years ago, on July 19th, 1965, the 9th Congress of the RCP (Romanian Communist Party) was opening (the scene appears in the film). In attendance in Bucharest were Leonid Brezhnev, Deng Xiaoping, Todor Zhivkov, and Walter Ulbricht. Dipa Nusantara Aidit was also there, the president of the Communist Party in Indonesia. Only three months later an aborted coup d'état took place organized by pro-Maoist officers connected to the Communist Party, followed by a repression of ferocious brutality. Aidit perished, together with hundreds of thousands or perhaps even a million other Indonesians. A celebrated film with Mel Gibson and Sigourney Weaver addresses this: The Year of Living Dangerously. The history of Romanian communism was entering a new era: RWP was re-baptized as the RCP (Romanian Communist Party); in a few months the Romanian People's Republic became the Socialist Republic of Romania. 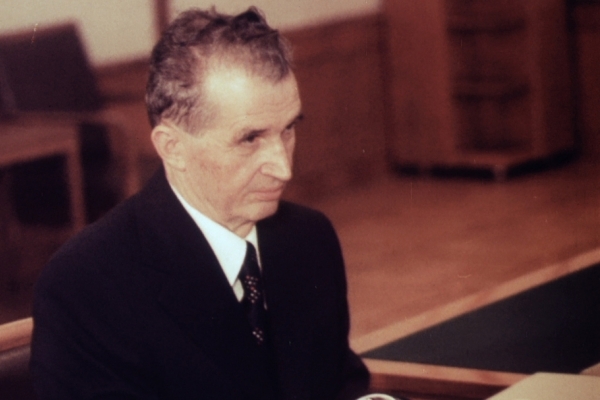 Though he was leader of the party, but not (yet) also of the state—the discourse proclaiming the new Constitution was held in August 1965—just like Stalin in 1936, Nicolae Ceausescu was unequivocally confirmed as the true embodiment of power. Nevertheless, with great agility, he still played the card of respect for his colleagues of the "collective leadership." He avoided antagonizing them, while meticulously accumulating the power and the glory. Elena, researcher and party secretary at the ICECHIM (National Research and Development Institute for Chemistry and Petrochemistry), was spending her vacation, in the summer of 1965, with Marta Draghici (the wife of the top Securitate boss under Dej) at Karlovy Vary in Czechoslovakia. A sumptuous residence was being built next door to the one, still being finished, of the Ceausescu family (during those months they lived in a special Party hotel, located on Tolstoi street) for Alexandru Draghici (released, after 13 years, from the function of Minister of Internal Affairs, that is the head of the "Securitate" (secret service police), "promoted" to secretary of the CC, member of the Executive Committee and of the Permanent Presidium). Back then Nicu used to tell me that his father's favorite maxim was "Cut off a cat's tail and let it believe it's still a cat," that is, take away the source of someone's pride and try to tell them they're still respectable. Dialectical heights, indeed. Andrei Ujica's film is formidable both artistically and politically. It is an aesthetic accomplishment because it succeeds in reconstructing the mechanisms of dictatorship without resorting to an omniscient narrator, that presumptuous possessor of the imaginary science of retrospective determinism. It exposes the secret fabric of what sociologist Daniel Chirot calls the tyranny of certainty or, to use the only apparently ironic formula of political scientist Ken Jowitt, "socialism within one family." I (and the overwhelming majority of the Romanians) had no way of knowing, in March of 1965, on the basis of official or non-official documents, what direction the new leader would take. The future was uncertain (for him as well). Everything seemed possible, at least on the surface. Or to be more precise, everything was possible but democracy. The relaxation of the old terrorist methods, the rehabilitation of some of the victims of indigenous Stalinism, the continuation of an equidistant line in the polemic between Moscow and Beijing, drawing nearer to the Occident in line with the Declaration of April 1964, all of these were promising gestures. Renouncing the monopoly on power and encouraging real pluralism were not, however, credible options in Ceausescu's world. Politically, Ujica's film is an autopsy of the surreal communist dictatorship headed by a Stalinist Ubu-roi whom playwright Fernando Arrabal once called le tyrraneau grotesque de Roumanie (in an open letter to the leader of the Spanish communist party, Santiago Carrillo, one of Ceausescu's key supporters within the global communist movement). From the moment of the grandiloquent and liberalizing promises of the period from 1965-1968 until the new tightening, frosty grip of post-1971, for which a fascination with the Cultural Revolution in China and the chauvinist and autarchic communism (Juche) of Kim Il-sung represented a catalyst but not the cause, the film reveals the tale of the Grand National Deception. A deception in which the supreme puppet, the secretary general, "the hero among heroes," the "Danube of thought," the champion of "creative Marxism" and his wife (at the beginning, a feeble shadow, who then became more and more aggressive, a Messalina claiming to be Newton), were surrounded by a court of clowns, less dignified than the tin soldiers of our childhood. Amongst these, diverse crooks who, from Leonte Rautu, Gheorghe Stoica and Alexandru Sencovici, to Ion Popescu-Puturi, Ghizela Vass and George Macovescu, Miron Constantinescu and Valter Roman, sung praises to the one who, as they knew all too well, had been nothing more than a fanatical militant of the clandestine Union of Communist Youth, not by a long shot the leader of a fictitious national antifascist movement. We see the scene from the Twelfth Congress in 1979, when, trying to cleanse the party of some of the disgrace of having committed so many crimes, the old Bolshevik Constantin Parvulescu raised his voice against the re-election (predetermined through plebiscitary techniques) of Nicolae Ceausescu to the function of Secretary General. At first speechless, then hysterical, the hall reacted as befits the discipline of the party, that nefarious discipline which Parvulescu himself once promoted as president of the sinister Commission of Party Control. Those who still maintain that Nicolae Ceausescu cut the umbilical cord to Moscow-style communism deceive themselves. His goal was one of autonomy, he aimed to consolidate his own space of manipulation, so as to no longer remain a spineless subject to the Soviets. He was, in fact, faithfully following Dej's final line (though the latter didn't practice the feudal masquerade). Ceausescu was, in reality, more Stalinist than Khrushchev and his disciples. The same goes for his acolytes. 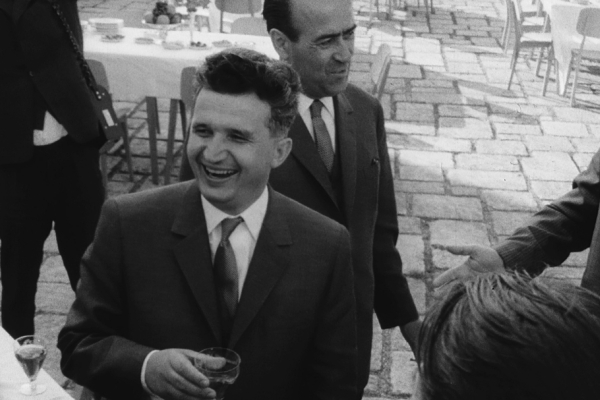 I cannot erase from my mind the image of Politburo member Gogu Radulescu at a party in Snagov (probably in May 1965), the air of joviality drenched with alcohol (novelist Petru Dumitriu portrays him without mercy in Incognito—I am quoting from memory, "with his nose, be it a boxer's or an heredo-syphilitic's.") This is the same Gogu Radulescu who remained until the end by the side of the increasingly mad dictator, the same Radulescu who stood dumbfounded, with a limp look of Asian deity next to a decrepit Ceausescu, when the "final proclamation" was read to the spell-bound people, condoning the bloody reprisals without a murmur. The people in this film are those who erected a statue to a blatantly neurotic individual, one possessed by the demon of revolutionizing the world and who coerced his subjects to be happy, in spite of themselves. Look at Charles de Gaulle quoting national poet Mihai Eminescu in Bucharest, in the spring of 1968, at the height of the Parisian student protests, without realizing what Pandora's box he had opened: "We want a national state, not a cosmopolitan one." What divine music to the ears of the national-Stalinists of Romania... Look at Ceausescu in Prague, two weeks before the invasion of Warsaw Treaty troops. He sits at an electrifying press conference, with clouds of cigar smoke and awkward questions. In Prague, censorship had been abolished, there was free press, a pluralist political system was being created, civil society had been revived. It was a meeting of friendship with smiling workers sitting where they pleased, without agitators and stupid slogans. Alexander Dubcek stopped those who had wanted to chant. Ceausescu was somehow puzzled, not appreciating how a spontaneous gathering like that was possible, but he was nevertheless ready to support the reforming communists. Not because he shared their objectives, but rather because he could not stand the idea of a foreign power daring to interfere with his business matters (political, economics, etc.). I do not believe Ceausescu repeated any phrase more often than "non-interference in internal affairs." With this sort of rhetoric he succeeded in hypnotizing not only the West, but also many of Romania's intellectuals. Anti-Soviet Stalinism was the secret of domestic and foreign success of the regime embodied by Nicolae Ceausescu. To which was added the support for radical movements, tiers-mondiste, cordial relationships with ZANU, SWAPO and FRELIMO, acronyms which meant nothing to Romanians, but which confirmed the image of the dictator as the passionate defender of left-wing global causes. There were also the games within the international communist movement, the support (formal, it is true, yet vocal) of Euro-communism, the frequent meetings with Luigi Longo, Enrico Berlinguer, Giancarlo Pajetta (PC Italy), Georges Marchais (PC France), Dolores Ibarruri, Santiago Carrillo (PC Spain), Mitsos Partsalidis, Haralambos Drakopulos (Greek Communist Party of the Interior). And we shouldn't forget the special connection with Marshal Josip Broz Tito, as well as the periodical meetings with Edvard Kardelj, Stane Dolanc, Vladimir Bakaric, and other Yugoslav leaders. Ceausescu's dictatorship, as we see clearly in Ujica's film, obviously went through a period of being based upon a certain ethnocentric consensus, upon a short-lived but real popular enthusiasm and mass complicity. The ideology was one of a return to the primordial and primordialist symbols: mass gatherings (bains de foules) during which Ceausescu, Maurer, and Chivu Stoica shook hands with Dacia chieftain Decebal and feudal prince Michael the Brave. These were clearly performances with incontestable symbolic implications, a dramaturgy which was not afraid of ridicule. The greater the pseudo-historical fabrications, the more pleased their beneficiary appeared. In this respect there is no distinguishing between him and the other sultans of Balkan Marxism: Bulgaria's Todor Zhivkov or Albania's Enver Hoxha. It is amusing that two decades later, the same Ceausescu, exasperated with Gorbachev's reforms, would deny the role of symbols in politics: "Symbolism may be nice for the arts, in economics and politics it's not worth two cents." In February 1983, I broadcast via Radio Free Europa the essay "Nicu Ceausescu and the Rise of Dynastic Socialism in Romania." In 1985, I published a study entitled "Ceausescu's Socialism" in the journal Problems of Communism. In 1986, in the journal ORBIS (it is still published in Philadelphia, under the aegis of the Foreign Policy Research Institute), I wrote another study titled "Byzantine Rites, Stalinist Follies: The Twilight of Dynastic Communism in Romania." Thanks to the revelations of General Ion Mihai Pacepa, the myth of Ceausescu received a fatal blow in the '80s. There are remarkable works on the subject of the life and death of Ceausescu (Mary Ellen Fischer, Pavel Campeanu, Edward Behr, Catherine Durandin, including also the recent journalistic reconstitution of Grigore Cartianu, to name a few of the contributions). In my opinion, Andrei Ujica's film is the most complete and piercing investigation made into the mental universe of the man who led Romania between 1965 and 1989. It is truly the autobiography of Nicolae Ceausescu. It is what he would have said had he managed to address the Grand National Assembly: how valiant he had been, how wise, how clairvoyant. How he had been betrayed by felons from the praetorian guard, the hooligans, the bandits and the spies in the service of enemy agencies. How he fought, sparing no efforts and "did his utmost" for the cause of socialism and communism. Yet, the historical verdict would not have been different from the one made by the revolutionaries of December 1989: the Grand Deception had miserably collapsed, leaving behind an emaciated individual, a senile, bloodthirsty, monomaniacal old man, frozen in the mirage of an apocryphal predestination. 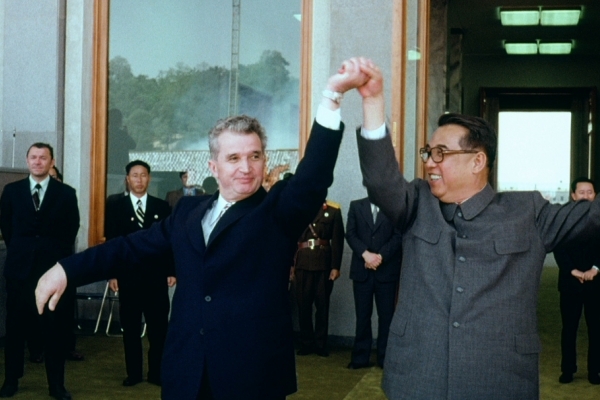 Photo Gallery: How Was Ceausescu Possible? Vladimir Tismaneanu is professor of politics at the University of Maryland at College Park, author of numerous books including Reinventing Politics: Eastern Europe form Stalin to Havel and Stalinism for All Seasons: A Political History of Romanian Communism. In 2006 he served as chair of the Presidential Commission for the Analysis of the Communist Dictatorship in Romania. He is currently chair of the Scientific Council of the Institute for the Investigation of the Crimes of Communism and the Memory of the Romanian Exile.